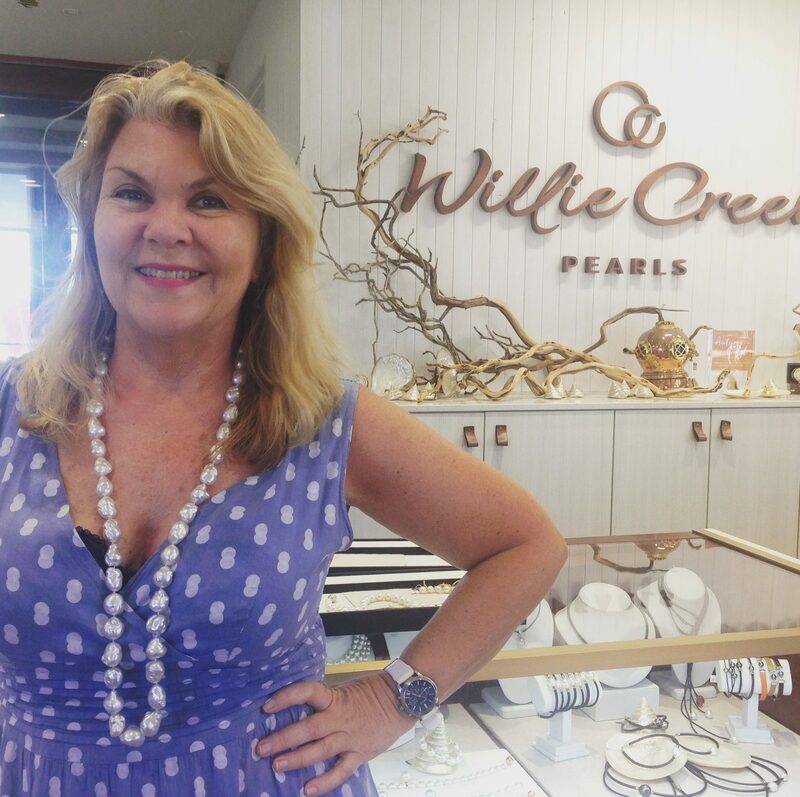 Willie Creek Pearls have a brand new show room right in the middle of the booming tourist area of Elizabeth Quay, in sunny Perth. 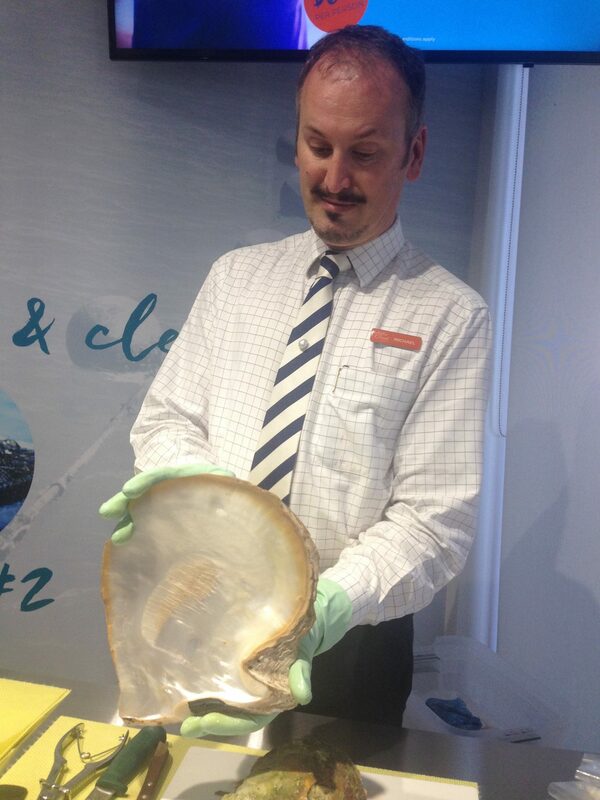 The pearl jewellery on show at this flagship outlet is absolutely stunning, and if you visit the show room overlooking the swan valley river, you can learn at first hand the story of how pristine pearls are grown by the astonishing oyster. Micheal was my masterclass guide from Willie Creek pearls, and he took me through the fascinating story of how oysters are harvested and farmed to produce these beautiful gems. 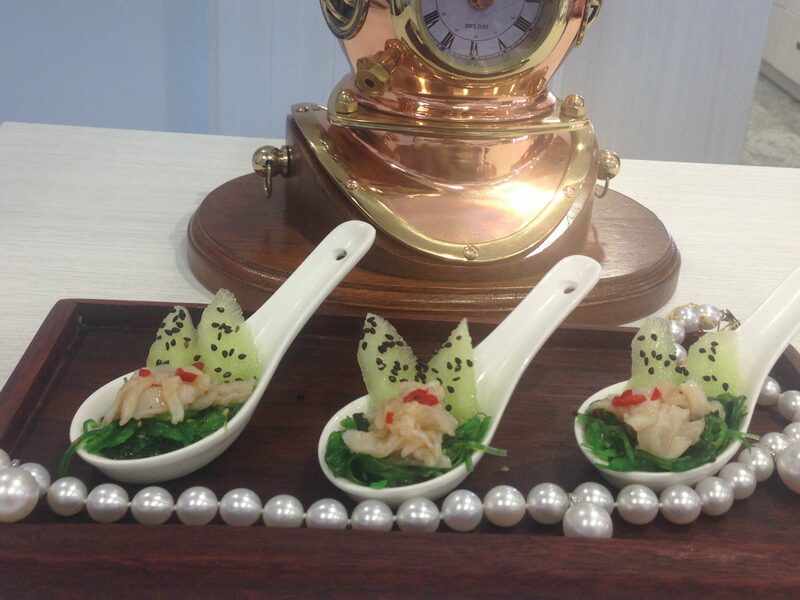 I was served with a glass of sparkling wine and some beautifully presented pearl meat, a rare and expensive treat. 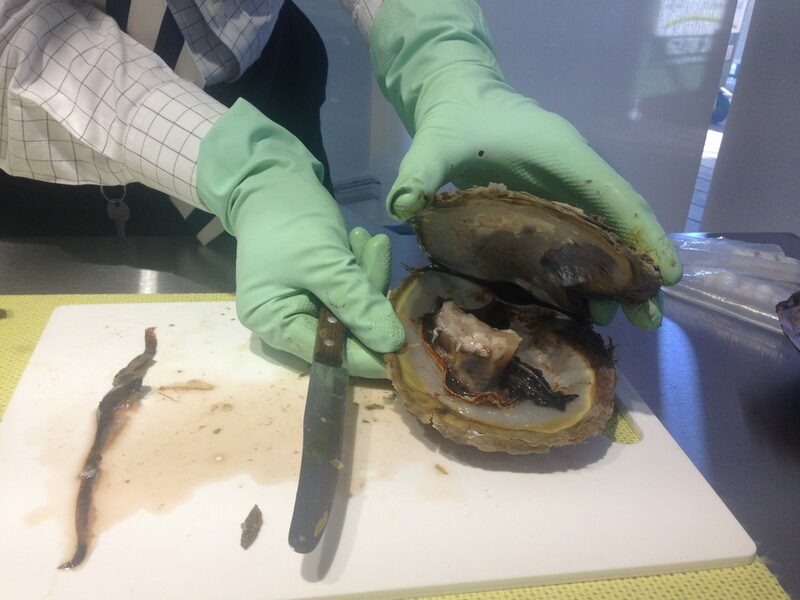 It is actually the marinated abductor muscle of the oyster and looks a little like sushi. Although this wouldn’t be something I would order from the menu myself, I tried it, and was pleasantly surprised at the delicate taste. I was told all about the process of farming the pearls and even got to wear a fabulous string of huge baroque pearls which I was very taken with, worth a mere AUD 90,000 or £45,000! Micheal explained how the oysters are collected by divers when about 18 months to two years old and about 4 inches across. The divers select them by drifting across the floor of the Lacepede channel off the coast of Broome Western Australia, and then bring them carefully to the surface. Most pearls in the world today are farmed. Real natural pearls are extremely rare indeed, you’d have to open tens of thousands of shells to find just one. Western Australian pearls from Broome are the largest and most valuable in the world, and the oysters which make them are found in the clear unpolluted tropical waters off the coast there. The extremely high tides here create a fast flowing environment which flushes a rich banquet of plankton favoured by the largest pearl producing oyster in the world, the Pinctada maxima. Once harvested, they are then kept in racks and regularly cleaned of parasites and algae. The acid producing sponge Cliona, is a particular danger, as it eats into the shell of the oyster making it very porous. The Pinctada maxima is a meaty animal and quite a lot of things would like to eat it if they could just get inside that shell! These incredible oysters can grow to the size of a dinner plate and and the bigger the shell, the bigger the pearl that is likely to grow in it. In order to encourage the oyster to make a pearl, the pearl technician uses instruments which look rather surgical, to delicately artificially insert an irritant into the oyster’s gonad. Mississippi mussel shell is used at Willie Creek because it is five times more dense than Pinctada maxima shell and will shows up under X-ray so staff can check if a pearl is forming. The oyster then tries to soothe the irritation by producing nacre – better known as mother-of-pearl. It’s not too dissimilar a process to the way humans produce tears to fight irritants in the eye, but the nacre builds and solidifies over time around the irritant. The oysters take two years to make the pearls and if their creations are of sufficient size and quality the oyster will be reseeded up to four times. If the pearl isn’t up to much, the unlucky creature will probably end up as someone’s dinner in a restaurant! 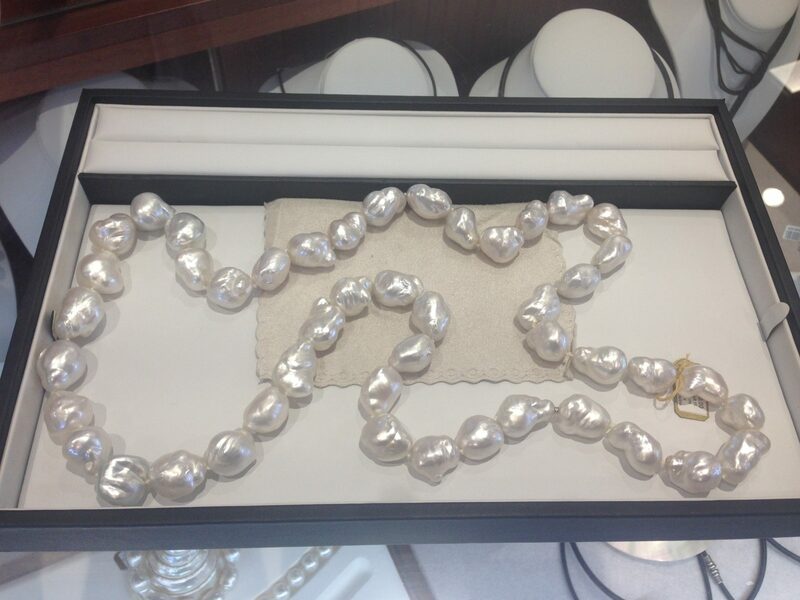 The really big pearls are only made the fourth time around, and are therefore the rarest and the most valuable. I even got to search inside an oyster for a pearl and found a small one that had formed on the outside of the mantle.The pearls are valued by colour (the whiter, the better); surface (fewer bobbles and markings); lustre (shiny is good); and roundness (if it rolls smoothly like a marble, then it’s a winner). Willie Creek Pearls is owned and operated by the Banfield Family. They started off by operating tours to Willie Creek, and eventually decided to acquire the Willie Creek Pearl Farm and deliver the tour experience themselves. 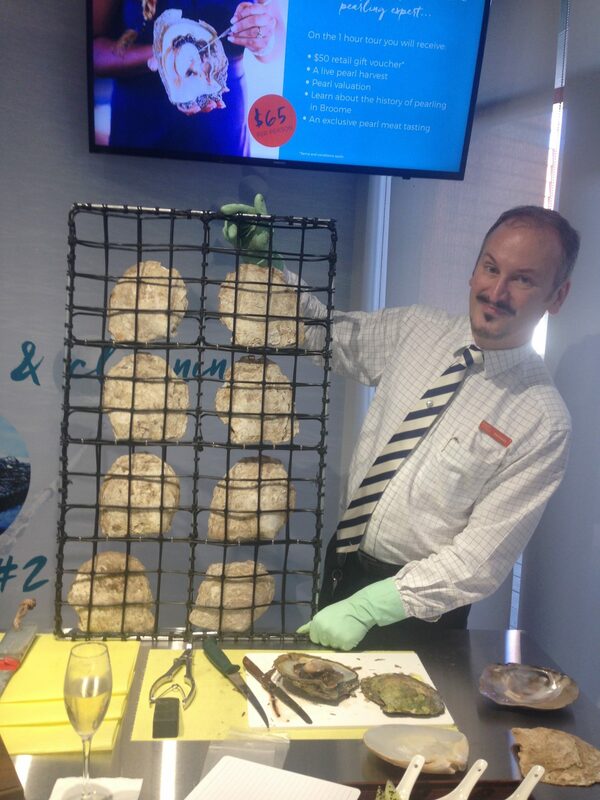 Finally they acquired one of only 17 commercial pearl farming licenses available in Western Australia. Today, Willie Creek remains a family owned and operated business. Pearls are the oldest gem stones in the world and are mentioned as far back as ancient Egypt, apparently Cleopatra even served one dissolved in wine at one of her lavish banquets. 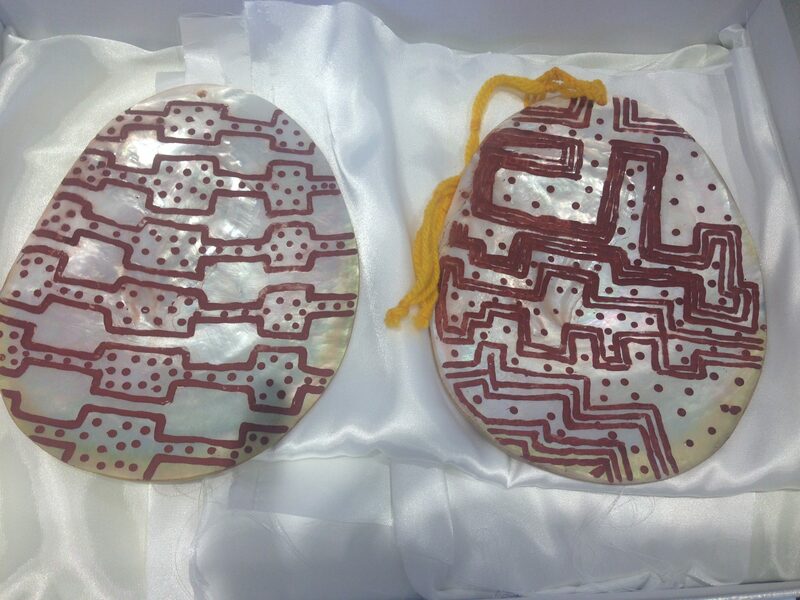 They are the only gemstone made by an animal and the indigenous aborigines used the pearl shell to record sacred spiritual patterns many years ago. They also had lots of myths and legends surrounding the mystery of the pearl oyster.